Long popular in Japan, magnet therapy has more recently entered public awareness in the United States. Golfers and tennis players extolling the virtues of magnets in the treatment of sports-related injuries have popularized this application to the point that sports apparel and accessory companies have caught on. Now we are quite familiar with constant energy magnet embedded pads which fit knees, shoulders, and ankle, as well as insoles and mattress pads, all of which are now widely available. We learn from Chinese medicine, that magnet therapy goes as far back as 2000 years ago in China. In 16th century Europe, Paracelsus used magnets to treat a variety of ailments while two hundred years later, Mesmer also achieved renown for treating various disorders with magnets. In the middle decades of the 20th century, scientists in various parts of the world began performing studies on the therapeutic use of magnets, especially in Japan, where from the 1940s on, magnets became increasingly popular. Yoshio Manaka, one of the influential Japanese acupuncturists of the twentieth century, used magnets in conjunction with acupuncture. Magnet therapy also became a commonly used technique of self-administered medicine in Japan. 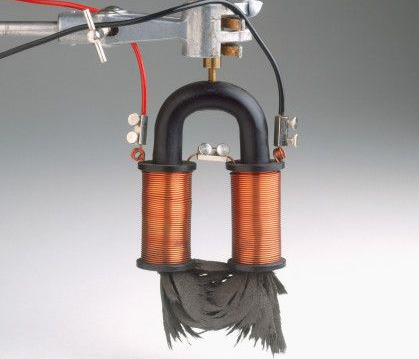 During the 1970s, both magnets and electro-magnetic machines were widely used among athletes in many countries for treating sports-related injuries. In the United States, it was not until 1997 that properly designed clinical trials of magnets began to be reported. Results of several preliminary studies suggested that both static magnets and electro-magnetic therapy may indeed offer therapeutic benefits for several disorders. These findings have helped to intensify research interest in magnet therapy. Pulsed Electro-Magnetic Field (PEMF) Therapy is non-static, unlike therapy with standard magnets, which are constant or static. To create a PEMF, an electrical current is introduced into a looped wire thereby creating a magnetic field. The electrical current is then activated and then deactivated in cycles between one time per second to thousands of times per second. The cycles and frequencies are dependant upon the unique design of any particular PEMF device. PEMF Therapy has been used to stimulate bone repair in non-union and other fractures since the 1970’s. This is the specific use that has been registered by the FDA. Although bone has a remarkable capacity to heal from injury, in some cases the broken ends do not join: these are called "non-union" fractures. Studies using PEMF have shown great promise for other conditions such as: healing soft-tissue wounds by suppressing inflammatory responses at the cell membrane level, alleviating pain, and increasing range of motion. Interestingly, vision has been shown to improve in some instances through PEMF, an area that is still undergoing study. At this time, PEMF is being investigated for it’s effect on osteoarthritis, stress, incontinence, migraines and a host of other conditions, reviewed on this website.